Big Fish on Fine Tippets. 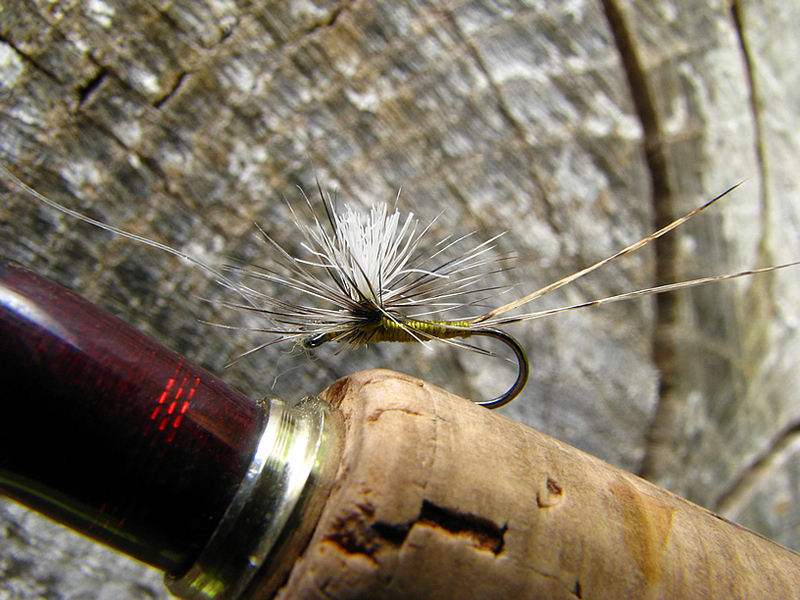 Small flies, fine tippets, big fish and broken reels. 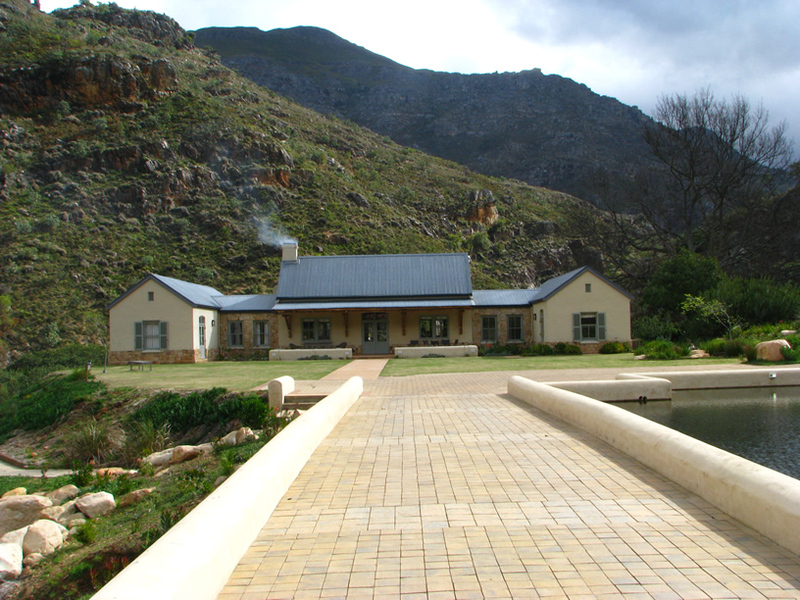 I was recently invited to join a group at Fizantekraal Lodge in the Limietberg. The venue is stunning but the fishing in the ponds isn’t really my cup of tea most of the time and the main attraction was the opportunity to fish parts of the Kraalstroom River, a tightly overgrown crystal clear stream that runs through the property. On the first day we fished sections of the stream, it was tricky stuff with trees enveloping the river and making casting extremely testing, forcing us to resort to “bow and arrow” presentations a lot of the time and flipping both dry flies and weighted nymphs into the runs and plunge pools in search of fish. The fishing was thankfully quite reasonable and it was fun to experiment on these relatively naïve and seldom targeted small stream trout. However having walked up parts of the river to a section that seemed to be devoid of fish for some reason I headed back to the lodge to join the other guests for lunch. The route taking me right past the stocked ponds which hold fish anywhere from 1 kilogram up to 3 plus. They are relatively small impoundments but the fish are only stocked at a rate to replace those taken by visitors and as a consequence things aren’t always quite as easy as one might imagine. The fish have seen it all , or so you may think, and can prove difficult and spooky in the clear water. As I was walking past one of the ponds I saw a large fish cruising and despite the fact that I was rigged up for the river with a #18 parachute dry fly and 7X tippet I simply couldn’t resist the temptation to have a cast. The fish lazily deviated slightly from his previous path, hovered under the tiny dry for a few moments and then inhaled it with confidence. That was where the fun started, to date it was by far the largest fish I had tackled on such fine gear and I had to be exceptionally careful to let the line spin off the reel each time the fish ran, jumped or shook its head. To be honest I had little real expectation of landing it, but after a spirited and lengthy battle he was netted. The fish weighed in at approximately 2.5 Kilograms, a very large fish to be taking on 7X tippet material and a tiny fly. After lunch and a little more thought it struck me that the one thing that these fish don’t see from most anglers is a tiny dry fly and they would on occasion rise to naturals as there were good midge and mayfly hatches on these ponds. So I headed out to see if I might repeat the process with another fish and sure enough the same result, a solid take an exceptionally spirited fight and a fish of just over two kilos in the net. I seemed to really be on to something and proceeded to experiment more and more, the gambit worked like a treat although the fish did prove to be very tippet shy and even that fine nylon needed to be degreased and sunk below the surface to avoid a lot of refusals. The Author with one of the tiny parachute patterns that proved so effective. Yes that is 7X tippet !! By the end of the weekend I must have taken well over twenty five fish using these tiny dry flies and fine nylon, fished on a Stealth Deep Red 8’4” 3wt rod. I actually only broke off on three fish the entire time and trust me that wasn’t because they didn’t put up a battle. The largest fish which jumped feet in the air on several occasions was estimated at well over three kilos and I lost him after he took me well into the backing, dislodged the pawl on my CFO reel due to the speed of the runs and finally snagged me in some sunken bushes. One more fish also ran me into the bushes and pulled the hook out. The final breakoff was from a tiddler which had entered the dams from the stream, a fish of no more than eight inches. This fish took the fly just as I was pulling in to re-cast and without the shock absorption of a soft rod to protect it the tippet broke like cotton. This tiny Olive Parachute proved particularly effective. Firstly that it is in fact entirely possible to land such large fish on such light gear with more than a modicum of success, to be frank I didn’t think that it could be done with any regularity until I tried it. Secondly that even in a stocked pond environment it proved to me that the fish, as with their natural stream cousins, are more than a little susceptible to a well presented small fly and it proved to be a truly winning tactic despite the fact that it was really discovered by accident. Thirdly it was obvious that one really needs to develop what cricketers refer to as “Soft Hands”, that is the ability to play a fish carefully, pulling hard when you can but ready at a moment’s notice to let go when the need arises. I think that this is a skill that takes time to develop and I know a lot of anglers don’t like to fish so fine even on the river where the maximum size of the fish is probably twenty inches or so. Although this was really pushing the envelope I do fish this fine nylon regularly if not indeed most of the time. I suspect that the more one uses such light tackle the more one gets used to it and compensates, which is a great advantage when called upon to fish light as one still maintains ones confidence. Finally the role of the rod is critical and again reinforces my view that many rods are far too stiff, perhaps offering some advantage to distance casting but failing to protect light tippets when a fish is hooked. This to me it is essential, that a rod, and particularly a light stream rod, provides functionality for casting, controlling the drift and protecting the tippet when one hooks a fish. It proved quite amazing how much pressure one could put on a fish with such light tippet so long as the tip was there to protect against sudden resistance from the fish. It has long been my position that sharp small hooks actually hook fish better than larger ones and it was interesting that with the size of these trout the hook ups were frequently in the bony jaws of these fish and yet the hooks penetrated and held, often being quite resistant to removal. Given the limited pressure one could apply on the strike due to the light tippet this provides more evidence still at how effective sharpening hooks and removing the barbs can be. I know that I shall have a lot more confidence fishing 7X tippet on the rivers in the future and have another tactic to try on stillwaters when the opportunity presents itself. 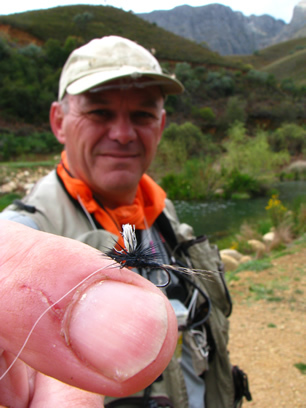 Courtesy of Inkawazi Flyfishing Safaris: This post is brought to you by Inkwazi Flyfishing Safaris, Cape Town’s premier full service trout guiding suppliers, in the interests of better fishing. Disclaimer: Google Ads are sometimes attached to these blogs, we have no control over them nor do we receive any reward for their presence. Whilst they may prove useful, their presence doesn’t indicate any relationship with or endorsement from the participants in this blog. This entry was posted on September 20, 2010 at 9:08 am and is filed under Cape Streams, Fishing. You can follow any responses to this entry through the RSS 2.0 feed. You can leave a response, or trackback from your own site.